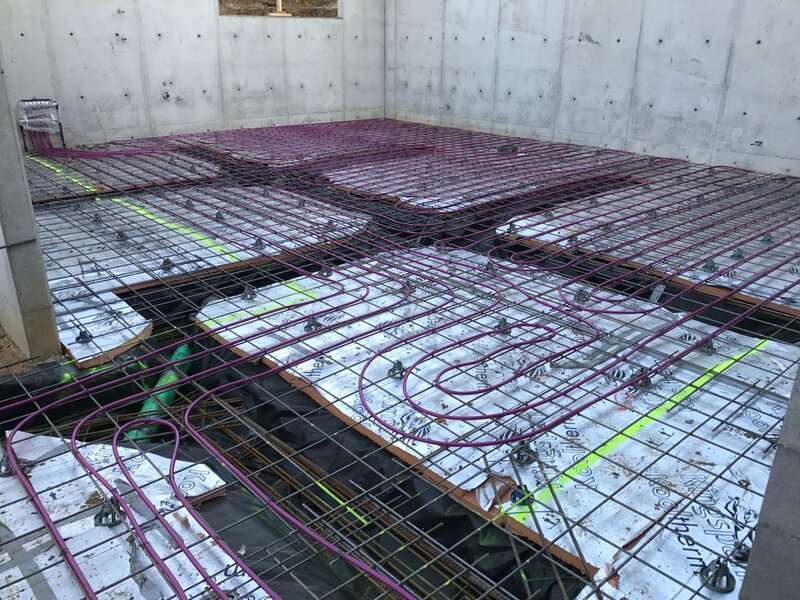 When setting up for Hydronic inslab heating it is important to do an accurate set out of the floor plan including all the walls and cabinets. We had marked out with paint on the insulation board the future layout of the walls and cabinetry. 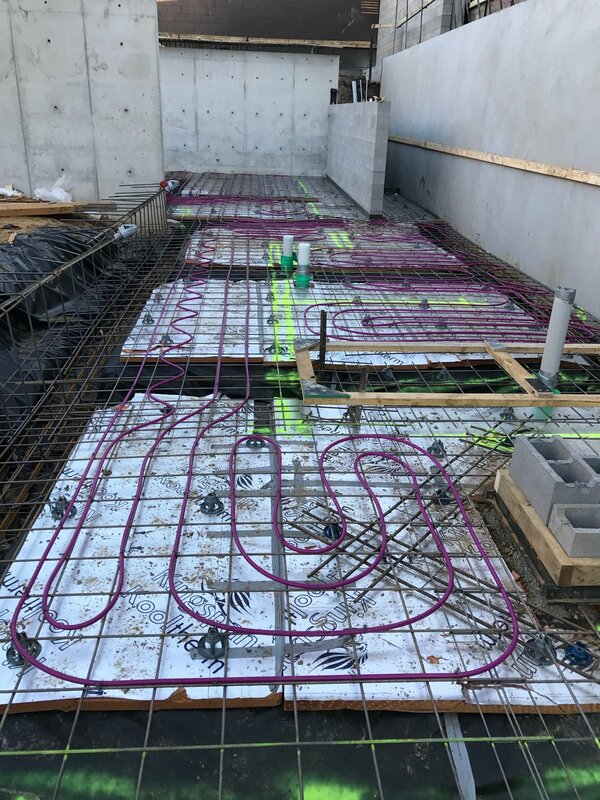 The Hydronic contractor was then able to easily lay the pipes in the correct position to achieve a nice and evenly toasty warm floor. 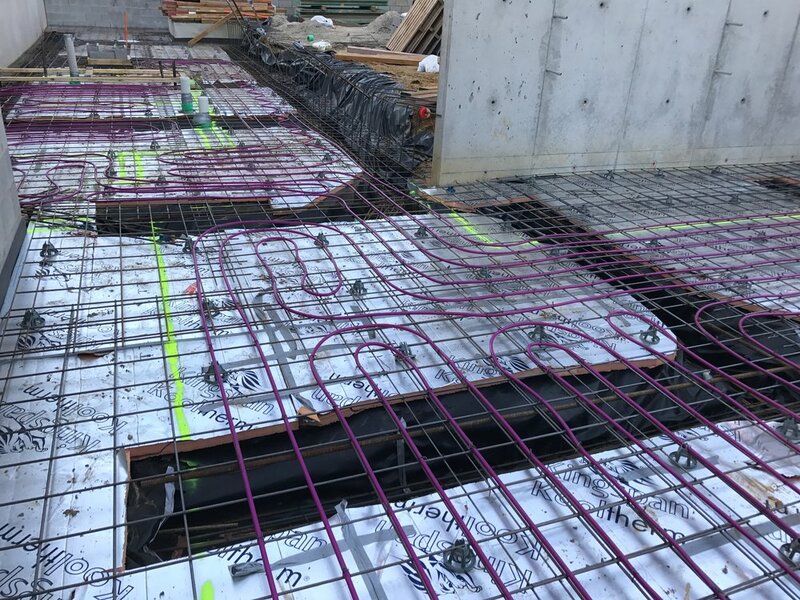 The pipes are now hidden under the concrete floor ready to heat.